Artograph is pleased to announce the new Flare100 Art Projector won first place in the Creative Impulse 2016 awards for Creative Tool of the Year. In the award ceremony January 31, 2016 at CreativeWorld in Frankfurt, Germany, Artograph CEO Don Dow accepted the award for the innovative projector designed for the needs of artists and crafters. 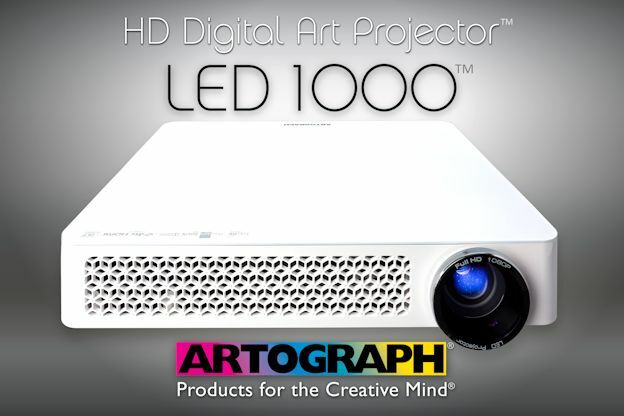 A 100 lumen battery-operated art projector, the FLARE100 ART PROJECTOR is part of the successful LED digital art projector line pioneered by Artograph. 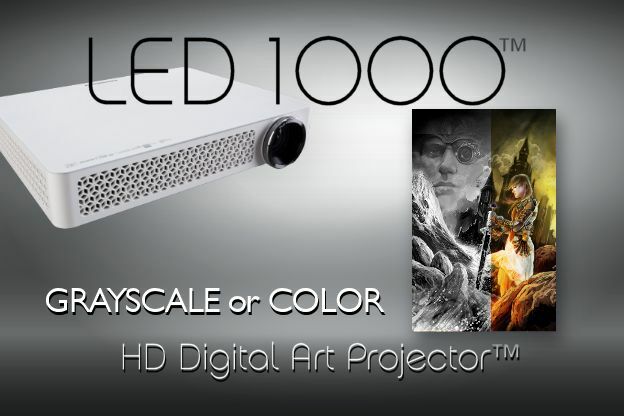 Also in this projector line are the INSPIRE800 ART PROJECTOR, and the IMPRESSION1400 ART PROJECTOR. 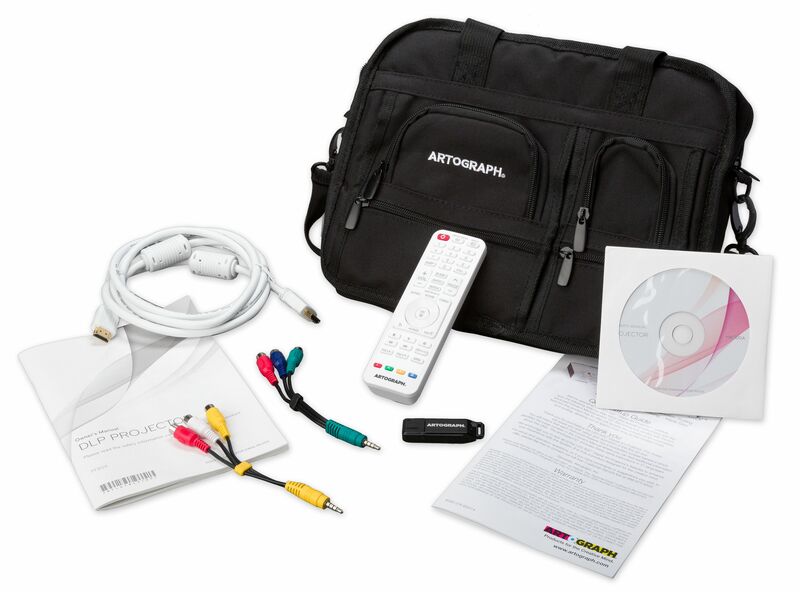 With three sizes, Artograph offers a digital art projector for every type of art and artist. 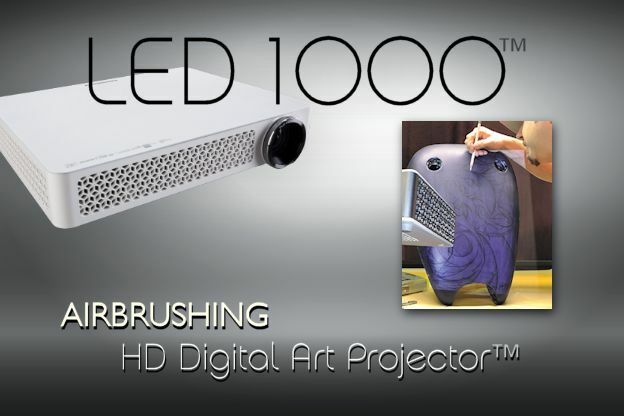 FLARE100™ Art Projector sets the artist free with a portable battery operated projector. The Flare100 projects a sharp image from four inches all the way to mural size. 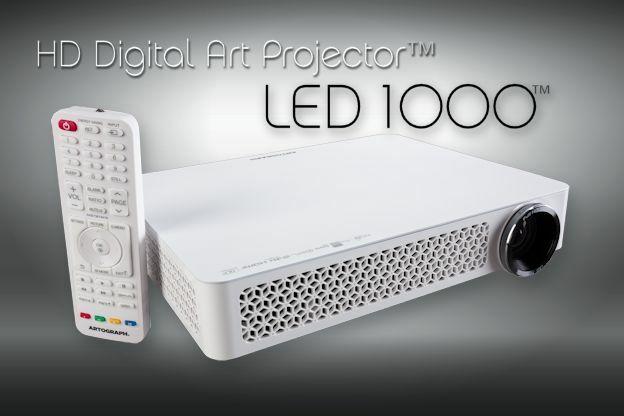 INSPIRE800™ Art Projector brings enhanced brightness in a convenient size. 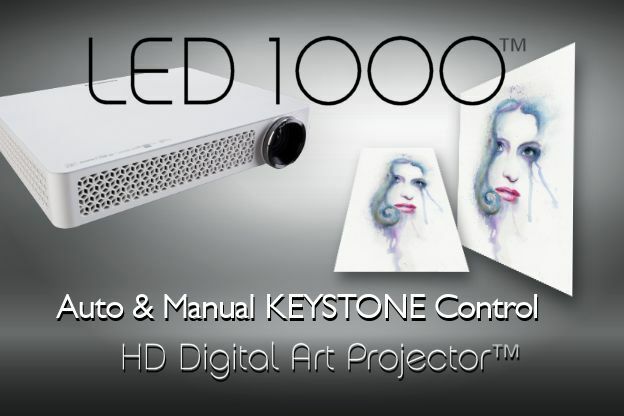 IMPRESSION1400™ Art Projector has full HD and 1400 lumens of brilliance, adding a new dimension of skew control. 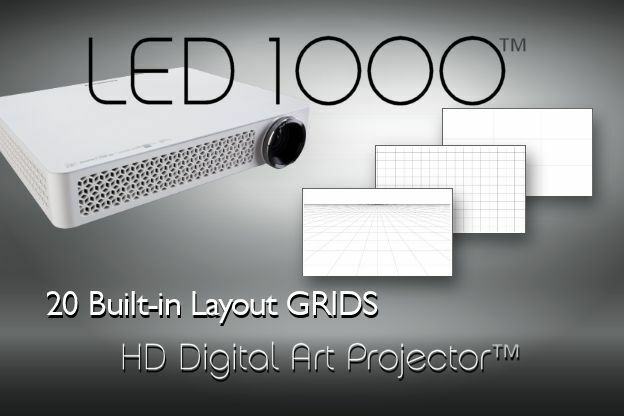 Each projector includes 22 custom built-in grids, plus bonus geometric and border patterns, image control, and wireless connection from Windows and Android devices. Artograph was founded in Minneapolis in 1947 by three entrepreneurs, Ed Hirschoff, John Engel, and Les Kouba, who wanted to start a company that produced time-saving devices. Les Kouba, a wildlife artist, suggested developing a projector to help him enlarge his wildlife photos onto a canvas. Thus, the first Artograph projector was born. Many variations were created from that first projector, but it was in 1977 when a totally new design in projectors was created that hit the commercial and graphic artist markets like a bolt of lightning. The DB300 table-top projector was an instant success and became a key tool for artists and designers for over 20 years. As technology and the age of the computer flourished, Artograph’s focus expanded from the commercial artist and designer to include the distinctive needs of the fine artist and the crafter. A number of new projectors were introduced and the term “Artograph it!” soon became synonymous with using an art projector to save time and increase productivity. With the development of LED technology, Artograph’s commitment to ever-greener and more energy efficient products shines in product lines designed with the artist in mind. This entry was posted in Press Releases on February 9, 2016 by Artograph. Artograph was founded in Minneapolis in 1947 by three entrepreneurs, Ed Hirschoff, John Engel, and Les Kouba, who wanted to start a company that produced time-saving devices. Les Kouba, a promising wildlife artist, suggested developing a projector to help him enlarge his wildlife photos onto a canvas. Thus, the first Artograph projector was born. This entry was posted in Press Releases on April 12, 2015 by Artograph. 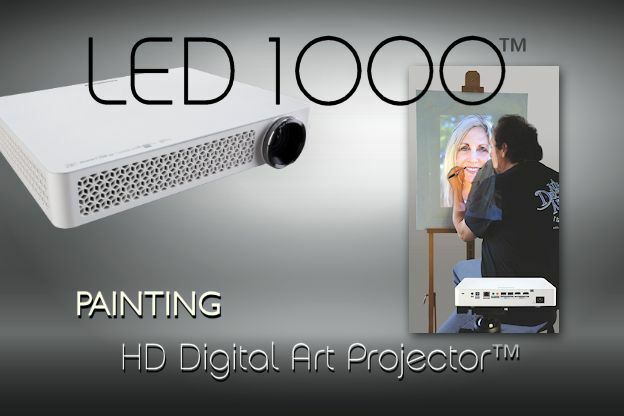 The legacy of the projector as a tool for master artists reaches a new pinnacle with the LED 1000™ HD Digital Art Projector™ from Artograph. 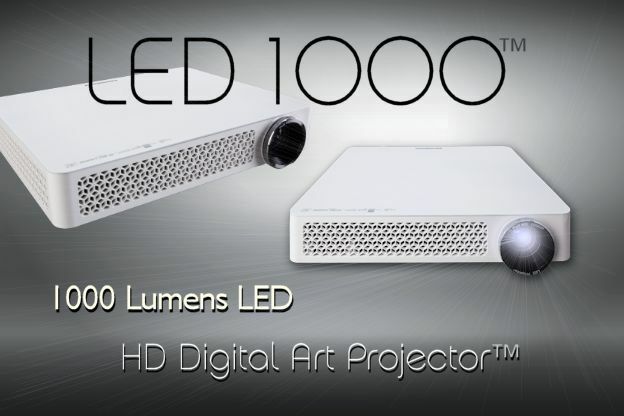 From da Vinci to Vermeer to the Artograph DB300, now to the new LED 1000, the projector is long-recognized as a vital tool in the palette of discerning commercial and fine artists. 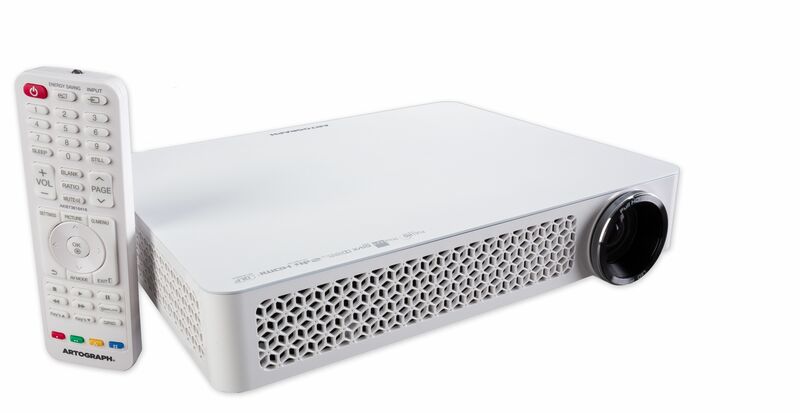 Artograph is pleased to announce this top-of-the-line high definition projector, custom configured for the needs of artists and crafters, is now available. 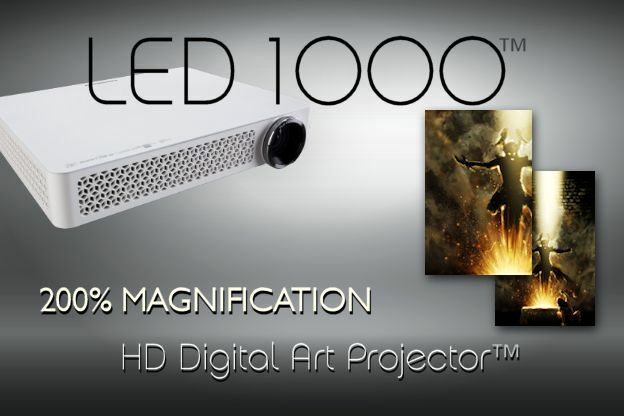 With 1000 lumens of maintenance-free LED projection, the LED 1000 HD Digital Art Projector brings greater power and brilliance, giving artists freedom to increase their productivity and artistic reach. Twenty custom built-in GRIDS bring superior capability for layout, composition, and scaling, ready at the touch of a button on the remote. KEYSTONE adjustment gives flexible perspective control on any surface at any angle. GRAYSCALE and CONTRAST controls create unsurpassed tonal evaluation. COLOR TEMP/HUE adjustments give the artist vivid images in all lighting conditions. 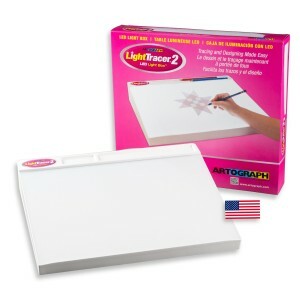 Artograph is proud to bring this latest tool in our long line of successful Products for the Creative Mind® to the professional art market. 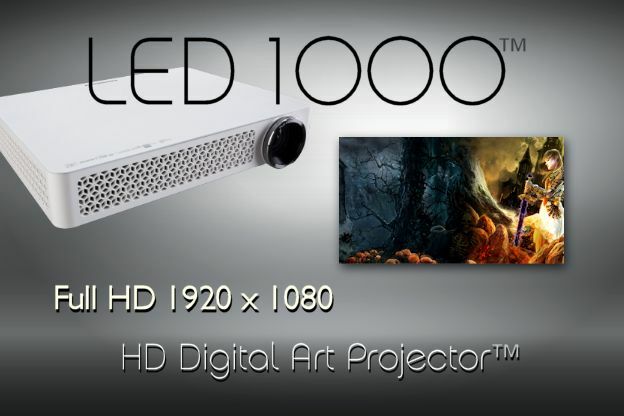 The LED 1000™ HD Digital Art Projector™ is a stellar addition to the Artograph tradition of quality, reliability, and ever-greener products for the arts. Available Images (mixture of print and web res). Click thumbnail for full size image. Right click and save image for download. For the 21st Century quilting and fabric artist, the projector is as essential a tool in the sewing box as a pincushion was in our grandmothers’ time. 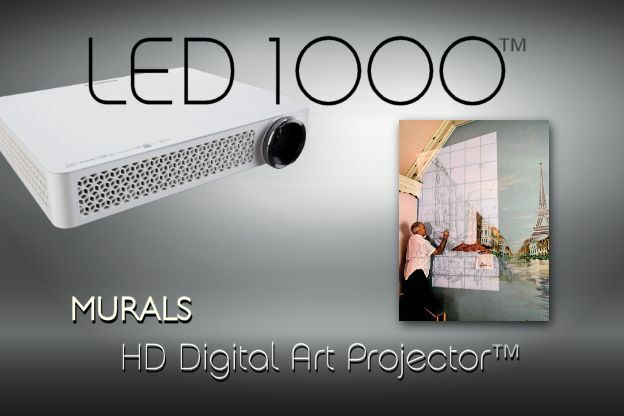 Artograph is pleased to announce the LED 1000™ HD Digital Art Projector™, a state-of-the-art tool which embraces a classic fabric art form. In quilting and other fabric arts, layout and design spring from the creativity of the designer. Now the quilter can develop a design on paper or in a computer and project the design in full scale onto pattern paper. Built-in GRIDS, and other features, aid the artist in layout, scaling, and composition. Using the COLOR, CONTRAST, and GRAYSCALE features, a quilt designer can project a photograph and develop it into a vibrant fabric design. In the fourth century BC, Aristotle wrote about projection phenomenon, having observed the crescent-shaped images of the sun during a partial eclipse that formed on the forest ground. This fascination continued throughout the ages, until some curious inventor soon turned this magic into devices such as the Camera Obscura and the Camera Lucida. It was the artist who embraced the unique benefits of the projector which allowed them to maximize their talents. Leonardo da Vinci left a number of his papers intact which still exist. The largest collection of these is called the Codex Atlanticus, and it covers a wide variety of subjects – including the principles of the Camera Obscura. One of the most talented artists of the 1600s, Jan Vermeer, is credited with using a Camera Obscura to help him produce his masterpieces. David Hockney, a world-famous artist in his own right, published a book in 2001, Secret Knowledge: Rediscovering the Lost Techniques of the Old Masters, in which he argued that Vermeer (and other artists, including Diego Velázquez) used a combination of optical aids to create their photorealistic effects. Hockney worked with physicist and optics expert Charles Falco to show the different devices and methods artists used before the invention of photography in the nineteenth century. This entry was posted in Press Releases on December 5, 2014 by Artograph.